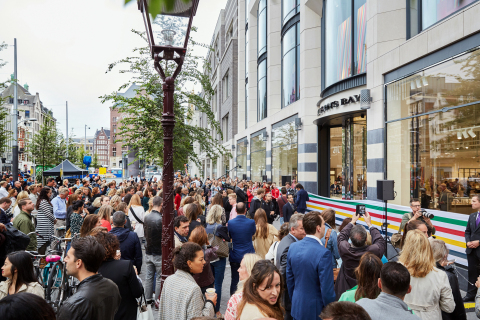 AMSTERDAM--(BUSINESS WIRE)--For the first time in the Netherlands, Hudson’s Bay will open its doors on Tuesday, September 5 at 10.00 AM in Amsterdam, and simultaneously launch its web shop at Hudsonsbay.nl. 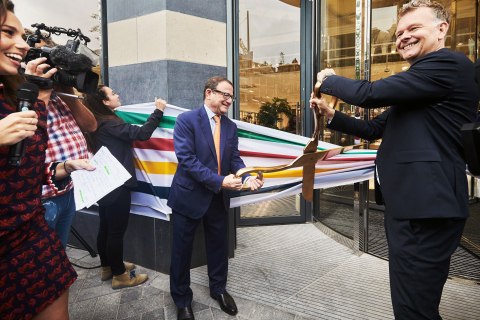 Nine additional stores will open in September, with the Hudson’s Bay Rotterdam and The Hague stores opening two days later, on Thursday, September 7. 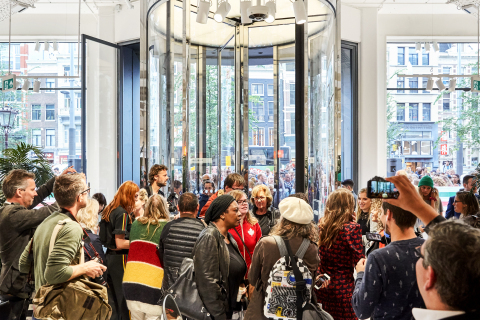 The opening of the iconic department store introduces a new and innovative shopping experience to the Netherlands. This milestone underscores HBC’s commitment to the market and is the latest step in the company’s organic growth strategy for Europe. Tailored to the Dutch consumer, each department throughout the store will showcase fresh and exciting product, highlighting a unique mix of national and international premium brands, mid-market brands and emerging brands, including more than 100 Dutch brands. Guests will be catered to by associates focused on providing best-in-class service and personalized experiences. 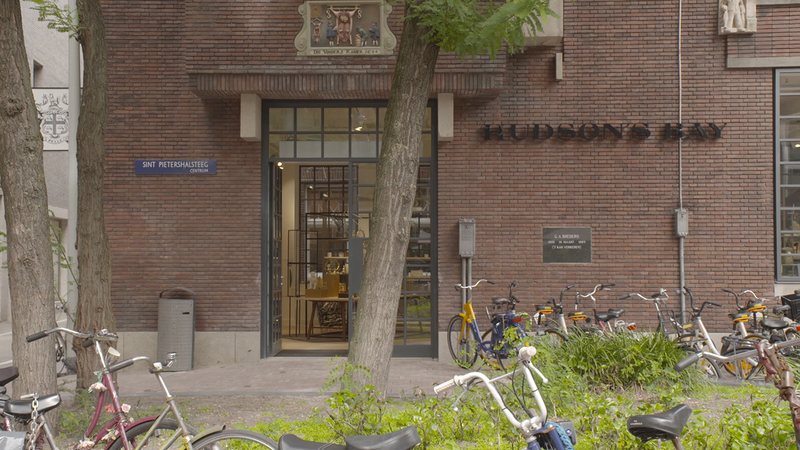 To date, HBC has filled approximately 1,600 jobs for the first 10 Hudson’s Bay stores opening in the Netherlands. The company will continue to fill roles as it expands across the country. 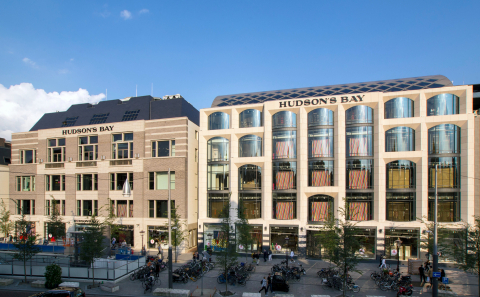 Following the soft openings to the public, Hudson’s Bay will host a number of grand opening celebration events, beginning September 19th in Amsterdam. The celebrations will continue to the end of September for all other stores. Hudson’s Bay offers a mix of national and international premium brands, unique mid-market brands and emerging brands, such as: TOPSHOP and TOPMAN, CK Jeans, The Kooples, Nike, Hugo, Armani, Tommy Hilfiger, Rika, Love Stories, MAC, Chanel, Aveda, Dyson, Vedder & Vedder, Vitra, Hay and Samsonite. 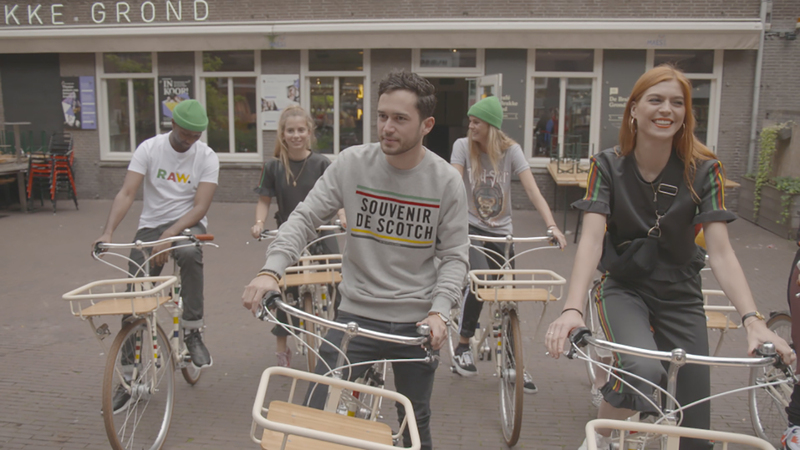 In addition to showcasing more than 100 Dutch brands, numerous national and international brands have developed limited editions, exclusively for Hudson's Bay. These items are included in the collection entitled 'The Limiteds'. Some of the most talented young trendsetters in the Netherlands add exclusive new designs to the collection with the iconic multi-coloured stripes of Hudson's Bay creatively blended into the products: a skirt and top by David Laport, a crystallised vase by Isaac Monté and Jordy van den Nieuwendijk created an illustration of his hand. Every Hudson’s Bay store will feature special STUDIOS, where guests will discover brand new or new to the Dutch market products. This is the place for extension in partnerships, a stage for young talent and surprising and newsworthy collaborations. Here, Hudson’s Bay will showcase exclusive products and special offers to its guests. These beautifully-designed spaces will also play host to product launches and special events. Hudson’s Bay customers will be catered to by associates focused on providing best-in-class service and personalized experiences. Personal shoppers will be available in all stores, as well as tailoring services to ensure the perfect fit. With a hands-free shopping option, guests can scan products and pick them up at Click & Collect when leaving the store. Aveda salon services, including a men’s grooming bar, will take care of guests hair needs, in addition to sit-down facial treatments from many of the in-store beauty brands. At Kids Kingdom, children can play with toys for endless fun, with games, movies and teaching tables. Hudson’s Bay also offers fast WIFI to its guests, and every Hudson’s Bay associate will be equipped with their smart phone and other essentials to provide guests the best service. 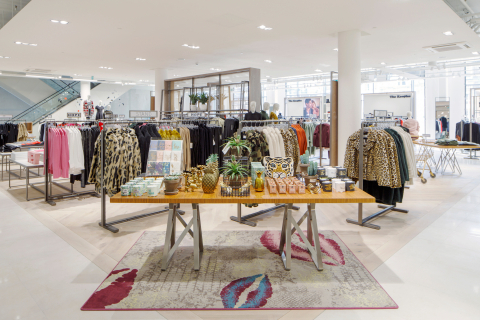 Providing a true all-channel experience to shoppers, the brands that guests experience in store can also be found online at Hudsonsbay.nl. The Hudson's Bay app provides daily news and updates about the stores, collections, opening ceremonies and job vacancies. The app is available for both iOS and Android devices. Guests can use the website and the app to sign up for the loyalty program: Club Hudson's Bay. Loyalty program Club Members will receive points for every purchase made, both in store and online, which can be redeemed later for a variety of rewards such as a beauty treatment, a personal shopper, participation in workshops or even front row access at a fashion show. 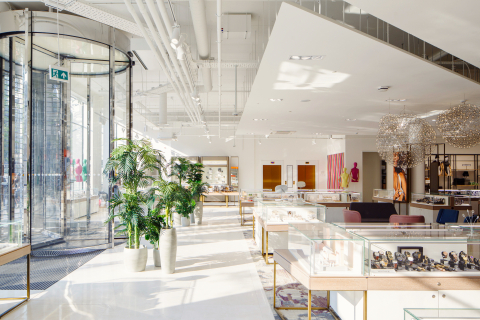 Members of Club Hudson’s Bay can make an appointment with, or ask a question of, a sales specialist via the app, who can also inform Members about the newest collections. Club Hudson’s Bay Members will receive exclusive monthly offers based on personal preferences and receive extras, such as access to alteration services for clothing purchased at Hudson's Bay. 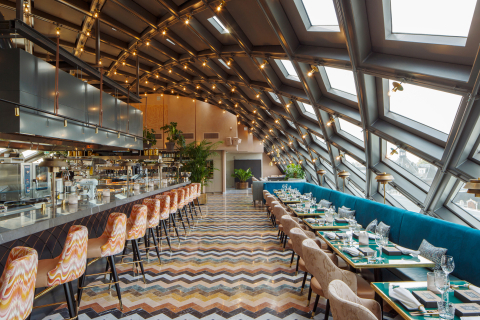 At the flagship location in Amsterdam, under the round-shaped roof on the top floor of Rokin 49, renowned Chef Ron Blaauw will open restaurant Nacarat, welcoming guests of the Amsterdam department store for both lunch and dinner. At Nacarat a rich yet accessible experience is paramount. Dishes will be inspired by Middle East cuisine. With a distinguished reputation of natural, homemade and delicious food, La Place will be the partner for all other Hudson’s Bay restaurants in the Netherlands, starting with nine locations opening this year. Hudson’s Bay worked intensively with architect CallisonRTKL to design the department stores in the Netherlands. 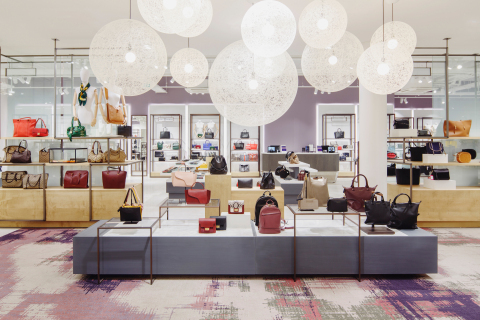 Informed by the experience and diversity of HBC’s best in class international department store group, the design concept is innovative, pragmatic and super flexible to deliver an ever-changing landscape of products and services. 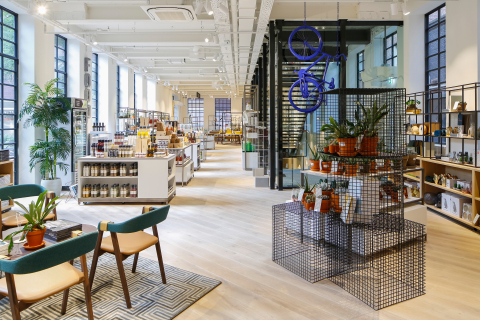 The connection between the interior of the store, the natural daylight and the street life has been restored, with the opening of 90% of the store windows at all levels. The concept is designed to enable the renovation and rejuvenation of some classic period buildings, from many different eras. Hudson’s Bay Company, incorporated in 1670, is North America’s oldest company. Hudson’s Bay has grown to become Canada’s most prominent department store, today operating 90 full-line locations and thebay.com. For the first time since the banner’s inception, Hudson’s Bay will open outside of Canada with 10 new stores in the Netherlands in 2017, and an online shopping destination at hudsonsbay.nl. This expansion will introduce a new and exciting shopping experience in the Netherlands, catering to the Dutch market. Hudson’s Bay has established a reputation for quality, service, and style by offering well-edited assortments of exclusive and popular fashion, beauty, home and accessory designers and brands, as well as exclusive food concepts. It is part of the HBC brand portfolio.